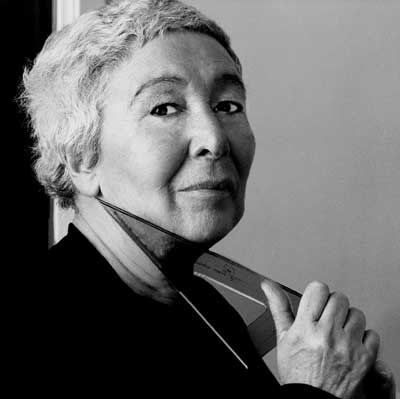 I was about to post about the architect Zaha Adid, and reference my favorite female architect Gae Aulenti when I went to check the date of something, I learned Ms. Aulenti died earlier this month. I’d missed the news obviously, and indeed this post will be dedicated to Gae. Few know that this resourceful and visionary architect was responsible for renovating entire municipal buildings and palaces into homes for art. After architecture school in the 50’s Gae (pronounced “Guy”), worked at an Italian magazine Casabella-Continuità doing graphic design and editorial. She then received her doctorate in Architecture and began creating acclaimed furniture that borrowed from Pop Art. In 1981 she was awarded with the task of renovating the old train station built in 1900, the Beaux Arts Gare d’Orsay, turning it into the Musee D’orsay. Her reputation grew as a visionary architect who could see the new life of a building in innovative ways – she went on to change the space of the Palazzo Grasso in Venice to an art museum, and my favorite the Main Library in San Francisco to the Museum of Asian Art. Turning a spot for stacks of books into an airy and carefully planned area for Asian art is no small feat – much like the transformation of a train station to an art museum. She was also commissioned to create a space for the National Museum of Modern Art at the Centre Georges Pompidou in Paris; the conversion of an old Italian embassy in Berlin into an Academy of Science; and the restoration of a 1929 exhibition hall in Barcelona as Museu Nacional d’Art de Catalunya. She also planned stores for fashion designers, expanded airports, and occasionally worked as a stage designer. My attraction to her work in architecture has always been to the fact that it is reserved in style (no titanium blowouts a la Gehry) – this reserve was less a submission, and more a defiance. In this age of flash and dazzle, how inspiring to see someone work creatively with restraint and make a work of major consequence.